THIS EXACT PIECE IS SOLD. YOU CAN PURCHASE A SIMILAR PIECE THROUGH THIS LISTING. ALL RAKU IS ONE-OF-A-KIND! 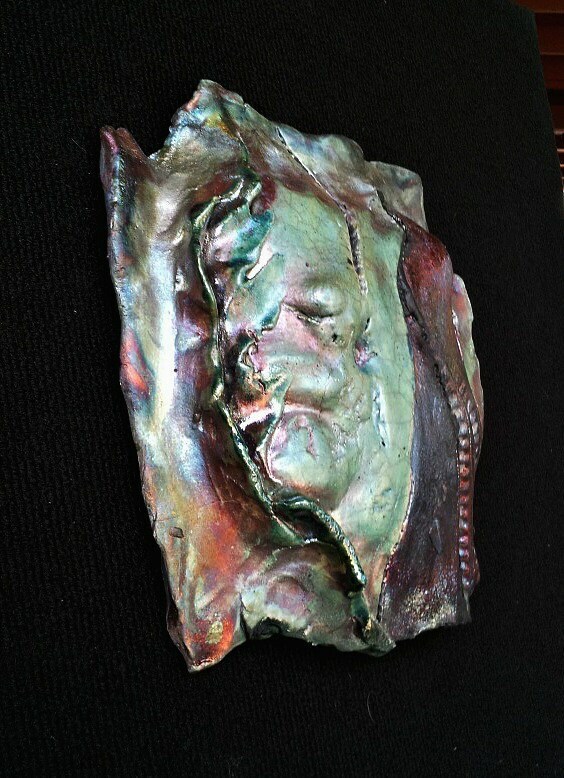 Invite this elegant OOAK wall art sculpture to grace your home or office!! “The magic happens in the can!” When the kiln temperature kiln reaches yellow/orange hot (about 1865 F), I quickly pull the hot, glowing pieces from the kiln with long tongs, and place them directly in a metal can filled with combustibles (paper, sawdust). Fire ignites immediately (!!! ), followed by covering the can with an airtight lid. Flames lick over the pieces in the can in search of oxygen to keep burning. In doing so, it changes the glaze formula and creates flashes of metallic oxides on the surface of the glaze. 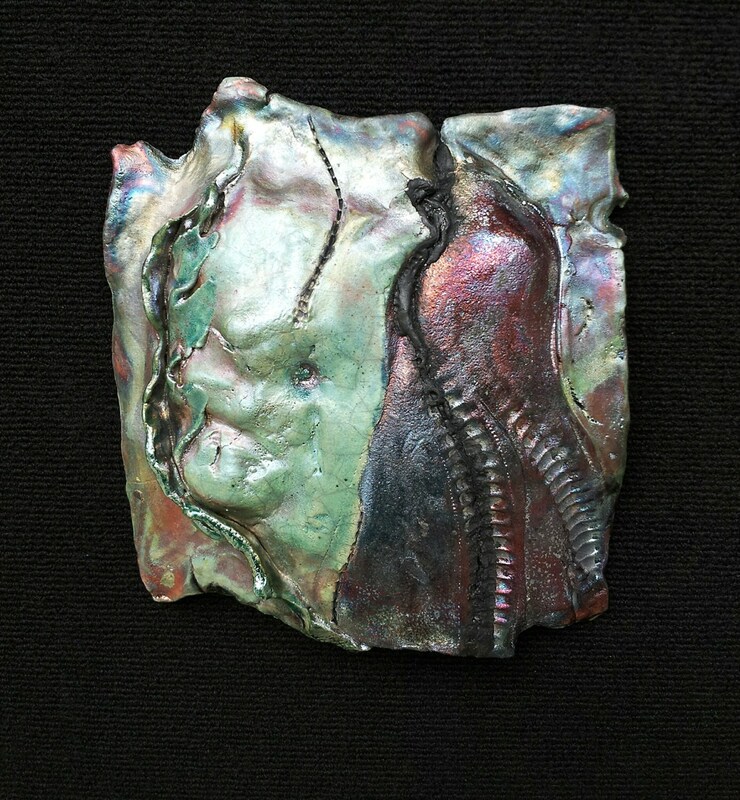 An amazing range of colors iridescent colors can result, making all raku One-of-a-Kind! I hope you love my raku art as much as I love making it! !